Students always look forward to the grand Summer Vacation so that they could sit all day and do nothing! Well, when I was a student I look forward to Summer Vacations so that we could go to the beach and also "do business" like create and sell stuff to make my own money. But how I wish I did more. 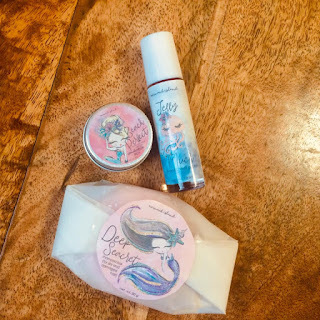 If you are like me wishful thinking about your Summer Vacation as a student, we can make amends or compensate our frustrations by having our kids more fun this vacation! Everybody knows that having a routine for a very long time like 10 months for students, makes one to long and look forward to be on a vacation. With the beautiful promise of Summer ahead, students can't wait to stay at home all day and do nothing but play video games! It is okay to sit around once in a while but not having anything constructive this Summer might make you regret that you wasted your vacation doing nothing. Good thing learning is a never-ending process, right? Instead of letting kids be potato couches this Summer, why not let them explore new fun things, enhance their learning capabilities and harness their physical strength through Milo Summer Sports Clinics 2019! Milo has been active in keeping the children active for 36 years through Milo's annual summer clinic that helps strengthens company's commitment to provide proper nutrition and kid's interest in sports for child development. Last Thursday, February 7, Milo Philippines officially launch this years' MILO Summer Sports Clinics at KidZania. Driven by the company's "Get Your Child into Sports" campaign, Milo Summer Sports Clinics aims to reinforce the importance of sports in as early as possible for a child's holistic development. Parents are constantly reminded on what the children are facing today - distractions of numerous barriers that hinders them from engaging into sports including but not limited to lack of safe places to play, digital distractions and the fear for trying out, that's why MILO's annual summer clinics are made to encourage the youngsters to not just get active but also learn valuable lessons in life that they can definitely use for their advantage outside the classroom and also, in their adult lives. Willy De Ocampo, Milo Philippines Business Unit Manager said that "Getting children involved in sports would be a more enjoyable and productive way to healthy living." The company believe that physical and social development lay the foundation for a child's holistic growth, which is why MILO Summer Sports Clinics teaches children the fundamentals of various sports in a unique and scientific way and helps them develop character-forming values. In today's digital world, children tend to play outdoor games indoor via mobile or computer, while straining the eyes, it also makes the muscle dormant. This 2019, MILO made sure that the Summer Sports Clinics will be accessible as much as possible to more aspiring young athletes as they continue to Engergize More Children by expanding clinics to Visayas and Mindanao region. Also, the clinics will start end of March in over 700 venues to more than 30,000 kids nationwide! MILO Sports Program now includes Arnis, Ultimate Frisbee, and Wushu since these are the field of Sports that Filipinos in general excel in the International Level. Apart from these new sports, MILO Summer Sports Clinic will also continue to provide and offer previous training to different sports disciplines including Badminton, Chess, Basketball, Volleyball, Fencing, Football, Futsal, Golf, Gymnastics, Karatedo, Lawn Tennis, Parkour, Swimming, Table Tennis, Taekwondo, and Touch Rugby. Aside from opening three new sports disciplines, each participant that will enter this year's MILO Summer Sports Clinic will also recieve a MILO Welcome Kit that contains the essential in making their training exciting and full; it includes exclusive MILO Summer Sports Clinics drawstring bag and of course, MILO to ensure that they will get their Champion Energy Nutrients as they embark their best Summer journey yet. 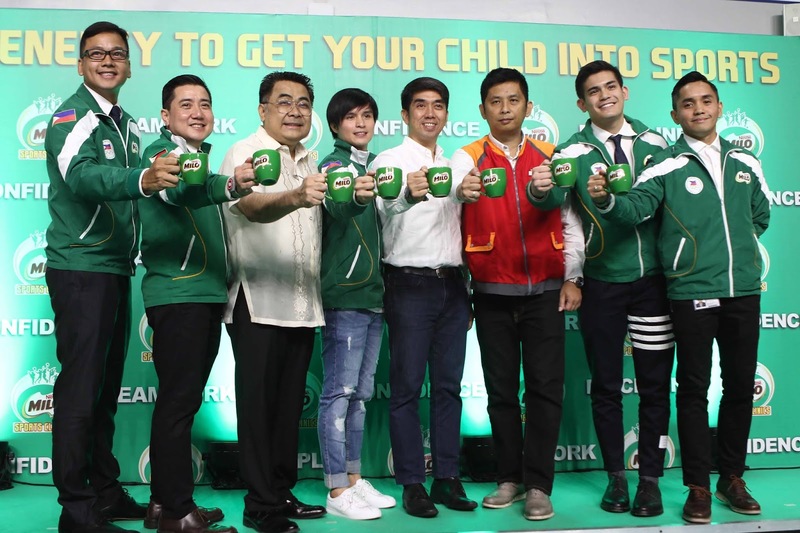 "Milo contains Champion Energy Nutrients such as milk, Protomalt, B-Vitamins and Iron to help children get active especially in sports," said De Ocampo. "So not only will the kids get the athletic and social benefits at the Summer Sports Clinics, they will also be provided with the nutritious energy of MILO." As mentioned earlier, 2019 marks 36 years of MILO nourishing champions! Through the years, the company prides itself in partnering with a roster of esteemed organizations both private and government to give a more beneficial experience to each participants, these organizations includes BEST Center and Philippine Taekwondo Association among many others. They have been an effective instruments in maintaining the sports excellence that the MILO Summer Sports Clinics is known for. Check out the Philippine Taekwondo Association demo during the launch. Previous athletes who have competed and won in both local and international competitions will be the expert coaches and instructors for the MILO Summer Sports Clinics such as the Southeast Asian (SEA) Games and the Olympics. These mentors apart from their personal experiences in the arena will also use modern and scientific approaches that will help the children gain more enthusiasm and appreciation for the different sports, while establishing a mindset to live a healthy and active lifestyle as they embody the morals of Discipline, Confidence, Teamwork, Perseverance and Hard Work. Centering on values in sports, the MILO Summer Sports Clinics along with its other sports programs such as MILO Little Olympics, FC Barcelona and more have created outstanding personas in the sporting scene! The roster of alumni includes BEST Center graduate Chris Tiu, SEA Games medalist and Taekwondo clinic graduate Japoy Lizardo, and SEA Games gold medalist and Gymnastics clinic graduate Kaitlyn De Guzman. MILO Sports Executive Luigi Pumaren said that they are looking forward to nurture more children, make them champions not just as sport athletes but also as individuals. Encouraging parents to introduce their kids to a fun, active and healthy lifestyle while making their summer worthwhile with MILO Summer Sports Clinics. One of the things that can make a returning student be proud of next school year was to know that he got the best summer ever - doing something worthwhile and constructive that surely enhanced his learning capabilities and physical aspects. Teamwork. Discipline. Confidence. Perseverance and Hard Work - that will come in handy in the long run. There will be busy days ahead and they'll be glad, contented and excited for more to learn new things every Summer! Get your child into sports and enroll them in the MILO Summer Sports Clinics! Department of Education, Philippine Olympic Committee, Philippine Sportswriters Association and in partnership with Chris Sports, SKLZ, Wilson, and Rain or Shine endorsed this year's 2019 MILO Summer Clinics.